Ashraf Ghani will succeed Hamid Karzai as the 13th president of Afghanistan. After a nearly four-month long saga, Afghanistan has a president-elect. Ashraf Ahmadzai Ghani, an economist and former Afghan finance minister, will be the thirteenth president of Afghanistan, succeeding Hamid Karzai. “The Independent Election Commission of Afghanistan declares Dr Ashraf Ghani Ahmadzai as the president of Afghanistan,” declared Ahmad Yousur Nuristani, chief of Afghanistan’s Independent Election Commission (IEC), in a long-awaited announcement. Abdullah Abdullah, runner-up in the run-off presidential election that took place on June 14, will instead nominate a Chief Executive Officer (CEO) with powers resembling those of a prime minister as per a unity government deal negotiated with assistance from the United States. This CEO will take office as an executive prime minister within two years. 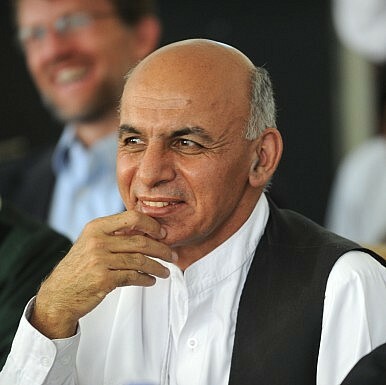 Ghani will take be sworn into office on September 29, 2014. Abdullah’s CEO nominee will also be nominated alongside Ghani. Abdullah and Ghani were mired in a seemingly intractable dispute over vote rigging during the June run-off election, the unity government deal, and a host of other issues. The two rivals signed and finalized a power-sharing deal on Sunday that ended this stand-off, granting some much-needed clarity to Afghanistan’s political future. Since the unity government deal will change the administrative structure of the Afghan government considerably, a loya jirga (grand legislative assembly) will be held within two years to amend Afghanistan’s constitution, formally creating a prime ministerial position. Additionally, while the electoral crisis did not result in fragmentation at the ethnic level, power-sharing between Ghani, an ethnic Pashtun who hails from the south of the country, and Abdullah, an ethnic Tajik who comes for the northern regions of the country, could create an uneasy equilibrium where ethnic competition for political influence undermines national unity. In order to prevent this, the two men must make efforts to avoid polarizing political grand-standing in Kabul. Beyond ethnic issues, differences in policy preferences between senior ministers — some of whom will be appointed by Ghani and some by Abdullah — could result in gridlock in Afghanistan’s executive branch. The unity government arrangement, most critically, prevents Abdullah’s camp from walking away from this election with a sense of having been robbed of the presidency (and thus facing political disenfranchisement in Afghanistan’s highly centralized political system). This would have been particularly unacceptable to Abdullah’s supporters in this year’s election given that similar sentiments persisted after Abdullah yielded the presidency to Karzai in 2009 after similar controversy over the election. The benefits of the unity government deal, thus, outweigh the uncertain but potentially serious costs for the moment. Despite the risks, the conclusion of this deal will lead to U.S. and NATO leaders breathing a sigh of relief as they prepare to depart Afghanistan at the end of this year. Particularly, one of the top priority items for Ghani’s government will be to conclude two important security pacts with the United States and NATO respectively. The Bilateral Security Agreement (BSA, to be signed with the United States) and the Status of Forces Agreement (SOFA, to be signed with NATO) will allow additional foreign troops to stay on in Afghanistan beyond the end of this year for limited counter-terrorism operations and to provide training for Afghan security forces. Ghani and Abdullah both publicly declared their support for a continued U.S. and NATO presence in Afghanistan beyond 2014 and will sign the controversially delayed security agreements. Hamid Karzai, the outgoing Afghan president, refused to sign the agreements beginning in late-2013, arguing that proximity to Afghanistan’s presidential elections meant that his successor ought to sign the deals. Afghanistan’s allies, international investors regional powers, and, indeed, the Afghan people will be happy to see a new president settle into the presidential palace in Kabul soon, ending a period of considerable uncertainty. For now, it appears as if Afghanistan’s fragile political transition is back on track, but the government in Kabul is sailing into uncharted waters with this unity government. Get ready for some big changes in how Afghanistan is governed. Beyond Pakistan, Afghanistan’s Most Serious Problem Is GovernanceFinding a Future for AfghanistanPower Struggle Continues Inside Afghan GovernmentAfghan Parliament Goes on a Firing SpreeWhat Is Going Wrong With Afghanistan’s National Unity Government?